Welcome to the newly rejigged, relaunched, redone membership program - which we believe suits your needs much better than before. If you remember the old membership site contained monthly e classes and was more of a teaching style, with a monthly ‘lesson’ and suitable sounds and exercises for you to do and so on. Well time has moved on considerably since then and we realised that what we offered really didn’t fit very well in our current mobile ready, want it now world. 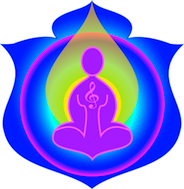 Plus, we now have a lot more online teaching courses and programs such as the Basic Vibrational Sound Practitioner, Reiki and Beyond and so on, which offers a better ‘fit’ for those who want to learn more about how things work with regard to chakras, meridians, auric fields and the like. And we also understood that you wanted better access to more sounds and wanted to know how and when to use them. To this end we have created a lot more ‘lite’ versions of the practitioner sounds for you to use and these are available here only. If you are new to Sounds from Source then click here and you will be taken to a page with explanations from both Sheila and Susan as to how the sounds work - so that it all makes a little more sense to you. So, what does the gold membership consist of now? Firstly, the gold membership has been split it into 4 different groupings. 3 times a year each grouping will receive an ‘extra’ of some sort depending upon your subscription level. This could be access to an evergreen webinar, extra information, a meditation, book - whatever has tested necessary for the members at that time. Each month, each grouping will receive 3 sounds that can only be played within the site, that is to say - you will be provided with online recordings. You will also be able to download each of the 3 sounds. The health and wellbeing membership will also receive extra frequencies that have been created to assist with balances dis-ease within the body. This way you can access the sounds at home on your computer, on your phone, iPad, tablet or whatever device you use. You will also receive written explanations of what the sounds can be used for and how best to use them. Plus each month there will be a recording from Sheila further explaining how best to use the sounds and giving you some background into why they are in your monthly playlist. And we have left the best until last - each month you will be able to download each of the 3 sounds. In some instances - this membership is the only way for you to have some of these sounds. They are available no where else. We had noticed that over the past 10 years, people are a lot more ‘mobile’ and so it seems that this was the best way to make the sounds available for you. All memberships have been configured to run for 2 years - although we envisage by the end of the next 24 months there will be many other sounds, which we will make available to you. What Sounds and Extras Are In Each Membership? Family and Relationships - the sounds and extras in this membership have be tested and graded by Sheila and Sounds From Source to ensure that the sounds are issued to you in the right sequence to be of most benefit for those seeking assistance. There are a lot of sounds for communication, fathers, mothers, children, relationships and so on within this level. Student / Career - as the name suggest the sounds and extras in this membership have been chosen to assist students and those who are forging a career for themselves, they are also useful for those engaged in business, that is their own business, although to be fair, the business program is probably a much better fit. In this membership there are sounds on communication, learning, study, sales, office and career sounds plus focus and several fiscally oriented sounds. Again, Sheila with guidance from Sounds From Source has tested and graded which sounds would be best for this level. And of course, the sounds and extras are provided to you in the right sequence to be of most benefit for you. Personal Development - this level is very much for those who wish to use the sounds to work on themselves and their issues and become more calm, peaceful, focused and confident. We realise people who are drawn to this particular level are usually students of life and engage in many things, to this end, the sounds provide a wonderful set of tools for you to use along your journey of self discovery. Once again Sheila, with guidance from Sounds From Source has tested and graded which sounds in the right sequence would be best for this level. The Health and Wellbeing membership program - this is the latest membership program to be offered in it we have included everything we have that relates to health and wellbeing including sounds and never before released frequencies. This membership is currently still being constructed. We have really put in a lot of effort to ensure that you receive huge value with your membership, so if you want to start using the sounds and learning techniques to assist you with having the best possible life you can, become a member and click the secure link above.